You're ready to start your journey into paramotoring, but still can't find anybody offering paramotor training near you? 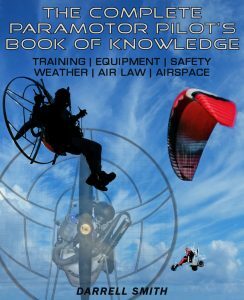 I've got you covered with this list of the top paramotor training schools and instructors in the UK and US. This list has been created with lots of research into each school, to ensure you'll be receiving quality and safe instruction. There may be other schools available, but if they've had bad feedback or poor reviews, they won't make this list. I don't believe beginners should have to worry about the quality of training they're going to receive. That's why this list only contains the best! I believe that pilots should receive the best possible instruction, in the best of locations, it's their life that's on the line after all. If I've missed any schools that you think need to be on this list, please let me know! I'll research the school, ask questions on forums, and if they're worthy of this list a link will be added. Click a pointer on the map to see training schools and instructors in your area. Links to each of the schools websites are under the map. If you're using desktop computer zoom in by using CTRL and zoom. One of the most well known schools in the US, Aviator PPG cater for both foot and wheel launch paramotors. They're fully certified by the USPPA and offer PPG1, PPG2, & PPG3 ratings to qualified students. They follow the USPPA syllabus as the foundation for their own carefully refined course of instruction. You'll get 15 days and up to 15 flights on their own equipment, or unlimited flights on your own paramotor. Team Fly Halo's training takes place at Morro Bay which is a sleepy beach town in California. Morro Bay has proven to be an ideal location for teaching beginners to fly. This location has stood out to the instructors as being the top location for putting out the best paramotor pilots. The course will take place over 9 days and students can gain ASC and USPPA ratings. Team Fly Halo also offer Lifetime Training which means any former pupil can return free of charge. Paradrenalin are the only PPG School based in the North Phoenix/North Scottsdale/Lake Pleasant areas. The school is a USPPA-certified and benefits from good flying conditions throughout the year. The school offers tandem discovery flights, hourly instruction, or students can gain a USPPA PPG 2 Rating on a full beginner course. They also offer travelling Instructors who can come to you if you can’t travel to Arizona! Colorado PPG use several sites in Northern Colorado. Information on their website is fairly limited but they've come highly recommended by many previous students. Utah PPG offer beginner training 365 days per year 7 days a week so you can be sure the course will fit your busy schedule. Students start their training journey at “Point of The Mountain”, a spacious, open, and fully-manicured training area. The school also has access to many other flight sites within a short driving distance to ensure flyable conditions most days. Nebraska Paramotor is part of the Aviator PPG alliance meaning you can expect the same level of training you'd find at the Aviator PPG home base in Florida. All Alliance members follow the same set of ideals including their syllabus, rules, and training program. Training takes place over 7 - 14 days and uses the the USPPA PPG2 course as its foundation. Paramotor Central offer training in the beautiful setting of Little Falls alongside the Mississippi river. The school is USPPA approved and their instructors hold “Instructor” and “Tandem Instructor” ratings. They offer full beginner courses, tandem flights, and 2 hour introductory courses for those that are still undecided on the sport. North Dakota paramotor comes highly recommended by previous students. Training information is limited on the website, but there's a contact form and telephone number for more information. You can also view his page on Facebook HERE. Paragliding Unlimited offer tandem flights and full beginner courses in St. Louis, Missouri. The school is USPPA approved and uses the enhanced USPPA Syllabus. Training takes place over 1-14 training days, depending on which training package you choose. Austin Paramotor comes highly recommended by many pilots. The school is USPPA Certified and offers beginner training for foot and wheel launch paramotors. Training information is limited so use the contact form on their website for more information. Texas Wind Riders train all year long at a 100 acre site in a perfect spot. They're located just a few minutes from Dallas, Texas. Their instructors are USPPA certified with many years flying experience. To find out more visit the website and use the contact form. Paramotor flyers Training Centre is located just minutes from the beautiful Lake Texoma. It's surrounded by unobstructed “open terrain” for endless exploration and perfect paramotoring. Training takes place 7 days a week, 365 days out of the year to accommodate student’s busy schedules. Paramotor Flyers Powered Paragliding has years of experience offering beginner training. You can even get a free refresher course if you have previously flown, but are a bit rusty. River Valley Paragliding is highly recommended and well rated by previous students. Their USPPA certified training usually takes anywhere from 3-10 days, and students will gain a PPG2 rating. Their training site is located near sod farms which provide miles of soft bermuda grass and unobstructed takeoff and landing zones. Wisconsin Powered Paraglider is a full time training facility with an 8 acre site. It's operated by Bill Stoll, a USPPA certified Instructor. They cater for wheel and foot launch paramotors, and on completion of the course students will receive USPPA ratings. They also offer advanced courses for pilots wishing to increase their knowledge and skills. Training with Michigan Powered Paragliding takes place amongst vast and endless scenic terrain. The area provides some of the most amazing cross-country flights in the country. The school has been well rated by previous students, and beginners will benefit from the instructor's 20 years of aviation experience. They offer 1 day lessons or full beginners courses. Discover Powered Paragliding have specialized in both Foot and Wheel Launch training since 2008. Their instructors are USPPA certified and they offer training 7 days a week. Training takes place over 5-7 days and includes at least 25 solo motor flights. They also offer 1 year free subscription to USPPA to all of their students. You'll follow the full USPPA syllabus and also learn additional topics not covered under the USPPA. 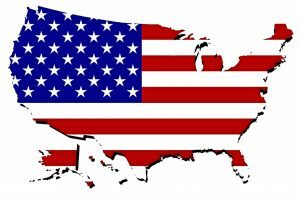 Midwest Powered Paragliding are a USPPA approved school. Their course of instruction meets or exceeds the USPPA PPG1 & PPG2 Foot Launch Program. Training takes place in Franklin, IN, where you'll complete a 7 -10 day course achieving 20 - 25 solo flights and a USPPA rating. UFO paramotors offer 1 day tasters or full 10 day beginner courses. They offer foot launch and trike training and you'll be offered a 1 year membership to the USPPA to earn your ratings. You'll also get a copy of a training DVD and book when you sign up for a course. This will give you a little head start in the sport while you wait for your course date to arrive. Previously called Pennsylvania paragliding, these guys came highly recommended by previous students. You'll find plenty of reviews on their old Facebook page HERE. They've been providing paragliding and paramotor training in Pennsylvania for over 15 years! They're located 1 1/2 hours drive from New York and Philadelphia. 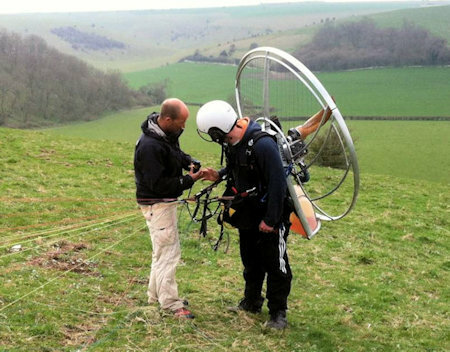 They run 5-7 day, or 8-10 day courses but you must use your own paramotor. Liberty PPG training in New Jersey is held between April 1st to December 1st. They train in the Dominican Republic during the winter months. Students will receive 15 days training and unlimited assistance for future flights. They also offer tandem flights with group discounts. The school of personal flight operates during summer months only due to poor winter flying conditions in Maine. They train to the USPPA Syllabus and offer tandem flights, kiting lessons, or full beginner courses. They also sell gear and offer 3 free lessons if you buy a wing or paramotor from them. Training takes place in Warrenton, VA. Their website lacks training info but the school has been highly recommended by previous students. Use their contact form to find out more. Taylorsville is located in the Brushy Mountains (the foothills of the Blue Ridge) 70 miles North of Charlotte, 65 miles West of Winston-Salem. The best time for training is late March through early July and late August through early December. Southern skies provides training according to the USPPA syllabus. They offer introductory classes, private classes, or a full beginner course - PPG 2 class where you'll earn a USPPA PPG 2 rating. Offering paramotor training and accommodation in North Carolina, Paraflight comes highly recommended by previous students. The website needs some work as I wasn't successful at finding out any training info, but the contact forms are working so you can contact them to find out more. These guys don't have a website so the link will take you to their Facebook page. The instructor Thomas Mistretta has 15 years of paragliding and powered paragliding experience! They're highly rated and were recommended by lots of previous students. Check out some of the awesome reviews on their page! Based 9 miles NW of Lansing, Michigan, and located at Forest Hills airport, FlyMiPPG LLC offer a detailed syllabus that covers class room Lectures, and Ground Handling Skills. You will have the use of our Air conception Nitro 200's, Ozone wings, cloud base towing system, motor simulator, speed wings, etc. They're USPPA certified, and part of the Aviator PPG alliance. More details can be found by clicking the link that will take you to their Facebook page. Foot Flight Paramotors are based in Braintree, Essex and offer training all year round. They're APPI and BHPA approved and they can provide foot launch and trike training. Training is carried out from several flat fields so initial flights will be undertaken using a winch. The sites also gives pilots access to the beautiful eastern coastline and small islands. UKPPG, also known as Fenland Wind and Airsports Centre; train pilots all year round 7 days a week in March, Cambridgeshire. They train under the APPI syllabus and offer taster courses, full beginner courses, and 6 day intermediate courses. Their site is situated amongst wide open countryside with no hazards, wind obstructions, or electricity pylons making it perfect for beginner training. All students will complete a minimum of 15-20 solo flights during the course. Ufly4fun covers Norfolk & South Lincolnshire and have been established since 2009. They're BHPA registered and train under the BHPA syllabus, and can offer a number of different ratings. They operate out of Wingland Airfield, Lincolnshire and offer 3 hour training sessions with a maximum of 3 students at any one time. CMparamotors offer training and tandem flight experiences in Leicester. They offer full beginner paramotor courses, part courses for transitioning paragliding pilots, and part courses for transitioning NPPL pilots. They also offer tandem training for existing pilots that wish to start taking their family and friends up. Pilots need to have a minimum of 150 hrs solo. You'll train with a fully qualified APPI Tandem Pilot & PMC tandem instructor. Airways Airsports is a full time BHPA registered paramotoring school. They can provide foot launch and paratrike training using their own equipment. They offer one day taster courses, transition from paraglider courses, and full beginner training from Airways massive 80 acre Airpark in Derbyshire. Courses lasts 8-10 days and can be taken as a block or a couple of days at a time, you'll launch from flat fields using a winch. Aerosports offer tandem flights and beginner training in Norther Ireland. They offer 1 day taster courses, pay by the day, or full beginner training courses. Paramotor training information on their website is limited so contact them for further information. Cloudbusters Paragliding is a BHPA registered school operating near Glasgow, Scotland. They offer single fun taster sessions and BHPA Certified courses for those wanting to learn paragliding and paramotoring. Airworks Paragliding Centre is based at Glynde train station and have sites at the heart of the beautiful South Downs National Park. They offer weekend taster courses, or full 5, 7, and 12 day beginner training. They're BHPA registered and you will need to join the BHPA as a full member when you arrive. Paramotortraining.com AKA paramotor club (PMC) operate out of Membury airfield near Swindon. The airfield offers student a massive 320 acres of flat mowed launch space. They come highly recommended by previous students and have a good reputation at putting out great pilots. 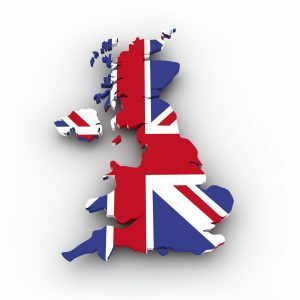 Skyschool UK operates from a perfect location in Mere, Wiltshire. They offer 1 & 2 Day Taster Courses, 6 Day Beginner and intermediate Courses, and a 12 day zero to hero course. The site offers flat fields and a paraglding hill for students to take their first flights without a motor. SkySchool originated in 2002 as the official Parajet training school, Alex Ledger the founder of the APPI Paramotor Association took over in 2005 and offers all students APPI ratings and membership. Cloud 9 are the specialists in Hang Gliding, Paragliding and Paramotoring operating in Redruth, Cornwall. They're a BHPA registered school and offer taster courses, transition from paragliding courses, and full beginner paramotor courses. The school operates on a full time basis including weekends and summer evenings. Axis training is a small specialized Paragliding school, based in Abergavenny in South East Wales. They're BHPa registered and train pilots for paragliding and paramotoring. The paramotor course is for pilots that have achieved BHPA EP level, or already hold a CP or Pilot qualification in another discipline and want to convert to paramotor. Midland paramotors are based in Tenbury Wells which is situated in the north west of Worcestershire. They offer 4 hour and 7 hour taster courses, paraglider conversion courses, and full beginner courses. They aren't BHPA registered but they do follow the BHPA syllabus. AXB paramotoring is basded in Barnby Dun Doncaster and offers full beginner courses and advanced paramotoring courses. Paul Haxby has over 20 years paramotoring experience and his instruction comes highly recommended by previous students. Active Edge are based in Settle in North Yorkshire. They're a BHPA registered school and offer BHPA approved courses. They run paraglding and paramotoring courses and have been training from the beautiful Yorkshire Dales, for over 30 years. My name is Mike Cotter. I am interested in being added to your website as a recommended PPG Training School. Justin Fox and I started FlyMiPPG LLC back in May of 2016. We are a USPPA Certified, Aviator PPG Alliance School offering Personalized Paramotor Training, Customized Motors, Paragliders, and Service Repairs. I will include the link to our Facebook Page so that you can have a better understanding of us and our PPG Training Facility. Hi Mike, looks like a nice school you have there. I’ve added you to the list and linked your Facebook page. Can you please add Vortex Powered Paragliding & Paramotor Training vortex ppg located near Fresno California.